You need at least WordPress 3.9 running on your self-hosted WordPress installation AND PHP in a version greater than 5.3. If you don’t know how to update your PHP version, check this quick blog post for a start: How to update to the latest PHP version for WordPress. 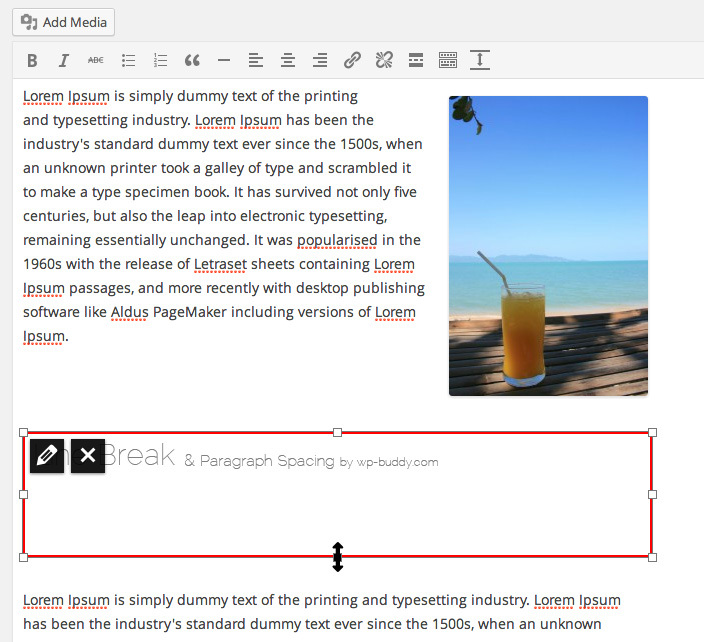 Once activated, you can find a new “Line Break & Paragraph Spacing” button on your editor: In the editor a new image-like field appears. Just drag & drop the size and that’s it! What is the shortcode that I can use? Where the height is the space-height in pixels.